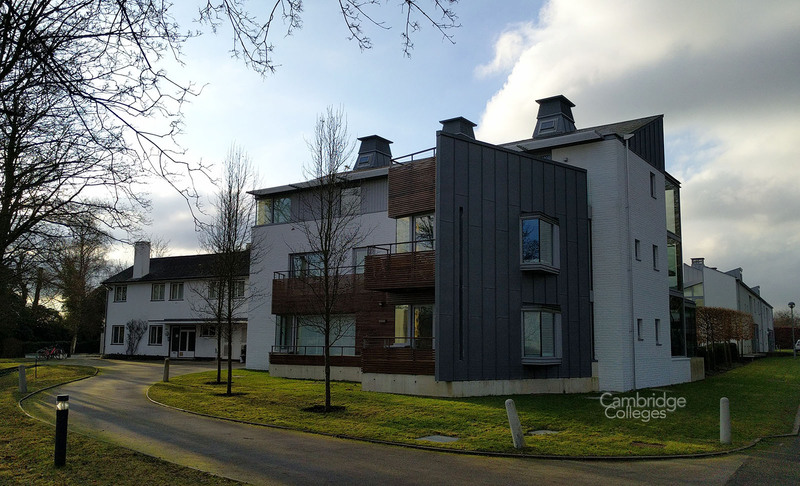 One of the youngest of Cambridge’s colleges, Clare Hall is a dedicated facility for postgraduate study which welcomes visiting academics and resident students. It can accommodate 180 post-grads plus 124 fellows and is presided over by Regius Professor of Civil Law David Ibbetson FBA, who took on the role in 2013. The educational facility is notable for its modern approach to student life, and for the high number of Nobel Prize winners who have passed through its doors as visiting academics or as fellows of Clare Hall. Cambridge University is home to two constituent colleges which both bear the name of Clare: namely Clare College and Clare Hall. 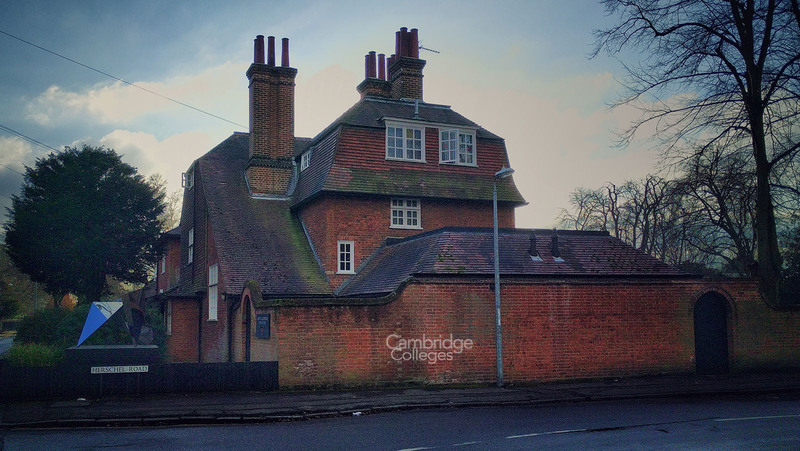 The former is one of the oldest colleges in the city of Cambridge and also across the whole of the UK; the latter was only founded in 1966, making it Cambridge’s second youngest educational establishment after Robinson College. The college’s shield features the red and yellow chevrons of the de Clare house, along with Lady de Clare’s tear-drop design, while the college scarf features red and yellow bars on a black background. These are features it has in common with the historic Clare College – the establishment which founded Clare Hall in its name. When the college was established in 1966, it had the aim of becoming a hub for research and postgraduate study which would attract permanent, temporary and honorary fellowship academics – while giving postgraduates the chance to work alongside them. The emphasis of the college has always been firmly on socialisation and interaction, in the hope of spreading ideas and building collaborative projects. In many ways, Clare Hall is very different to the rest of the Cambridge colleges: it offers a more modern, dynamic approach to further education. In 2016 the college marked it’s 50th anniversary. 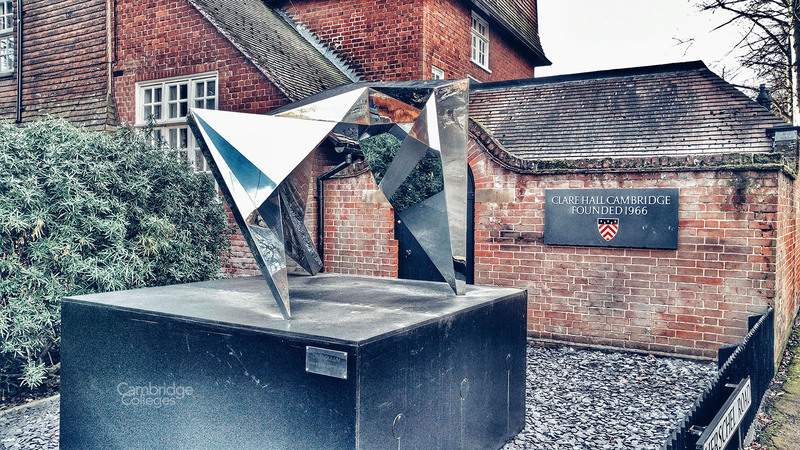 As part of the celebrations of this important milestone for the college, a new sculpture – called the Triangulum, was erected in front of the Elmside building, on the junction of Herschel and Grange roads. Initially loaned to the college for a year, they hope to raise sufficient funds to keep it indefinitely. The college features a swimming pool and gym for residents’ use, along with an extensive library which is open to students and visitors. There is also a tennis court on site, and the Cambridge University running track is close by, so students have plenty of ways to keep active. Accommodation is provided across a number of converted houses close to the college, while guest rooms are located within the main building for visiting fellows and academics. Family rooms are available through prior arrangement for visitors, and the President’s house is also located within the main Clare Hall site. While the college accommodation offers some basic food and drink preparation facilities, meals are generally taken together in the main dining hall. This dining hall is a big part of college life, serving daily meals including a formal dinner each Wednesday, three courses at lunch and a series of monthly themed dining experiences. Unlike most of the Cambridge Colleges, there is no high table in the dining room. Instead, fellows and students are encouraged to mingle while they eat, to share ideas and to socialise with each other. During the academic term, there are plenty of on-site activities and events going on. Regular debates, discussion groups and seminars are held at which notable associates of the college will deliver speeches and talks. Concerts are also held regularly through the summer months, and each year culminates in a grand end of term gala event with formal dress, dinner and dancing. As a dedicated postgraduate centre, Clare Hall describes itself as a “place to think, a place to meet, a place to talk and a place to share”. The college has places open for almost as many fellows as it does post-grads, creating a uniquely blended environment where visiting academics and resident students can collaborate, interact and socialise. Events held on campus are aimed for fellows and post-grads alike, and all visitors are welcome to take part in college life too. who designed many of the college’s buildings. Clare Hall’s sister college is St Cross College, a postgraduate college of Oxford University, founded in 1965, the year prior to Clare Hall.